Oatmeal is my favourite breakfast to have when I’m busy studying. It’s filling, full of good stuff and delicious. 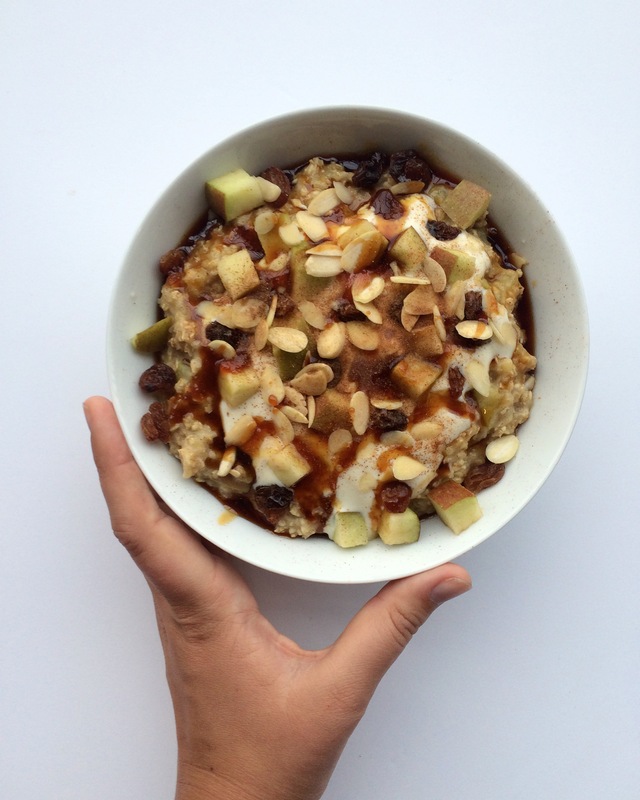 On this day I had cinnamon apple oatmeal, very similar to a recipe I’ve shared before, topped with soy yoghurt, date syrup, raisins and almonds. I’m telling you, this is the ultimate brain food. Fresh squeezed orange juice is honestly the best, and I love to have a glass of it whenever I can. I find that I get sick easier when I’m busy studying; I tend not to spend enough time outside and it’s not great for my body. 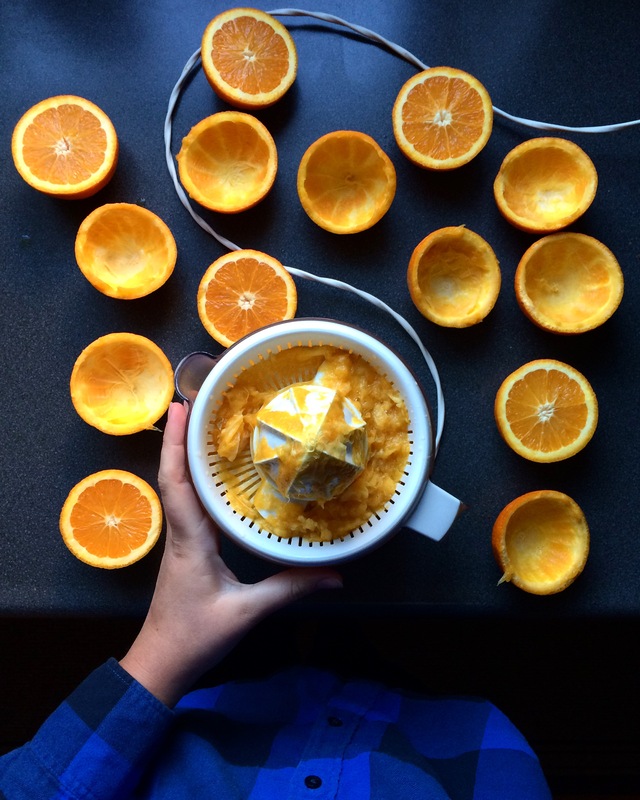 Stocking up on vitamins through oranges helps fight of any colds that are looming. 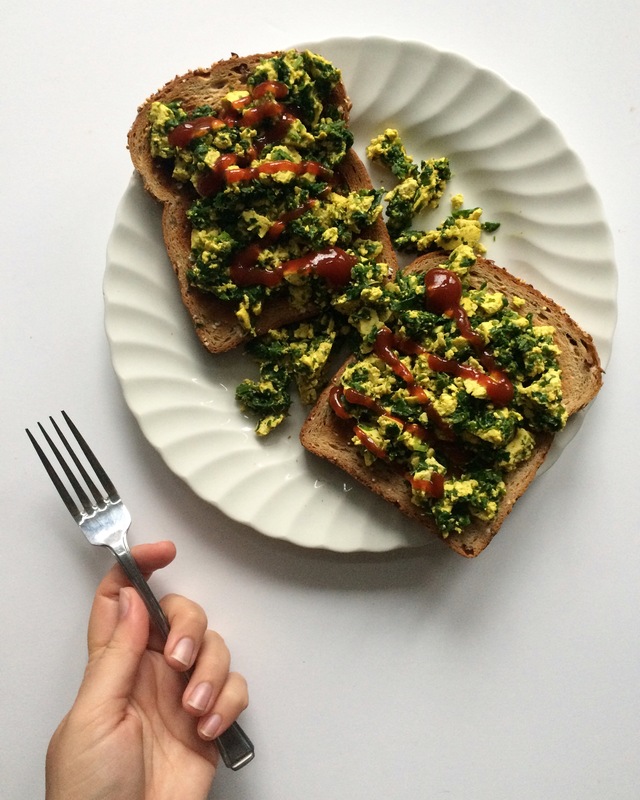 I’ve recently fallen in love with tofu scramble all over again; this stuff is amazing! I usually struggle a bit with what to have for lunch when I’m at home, but tofu scramble is my new go-to. I make mine with spinach, to get my greens in, and top it with lots of ketchup. I recently posted on Instagram that I’ve fallen in love with smoothies again. During the wintertime I tend to go for oatmeal instead of smoothies in the morning, but I’ve recently introduced them back into my diet and it’s been delicious. It’s the perfect afternoon snack, when you want something yummy but also nutritious. My favourite combo at the moment is banana, raspberries, a splash of vanilla soy milk and water. Simple but awesome! Like I said at the start of this post, I wanted to show you the simple meals I make when I’m busy with uni work, and this is one of my go-to simple meals. 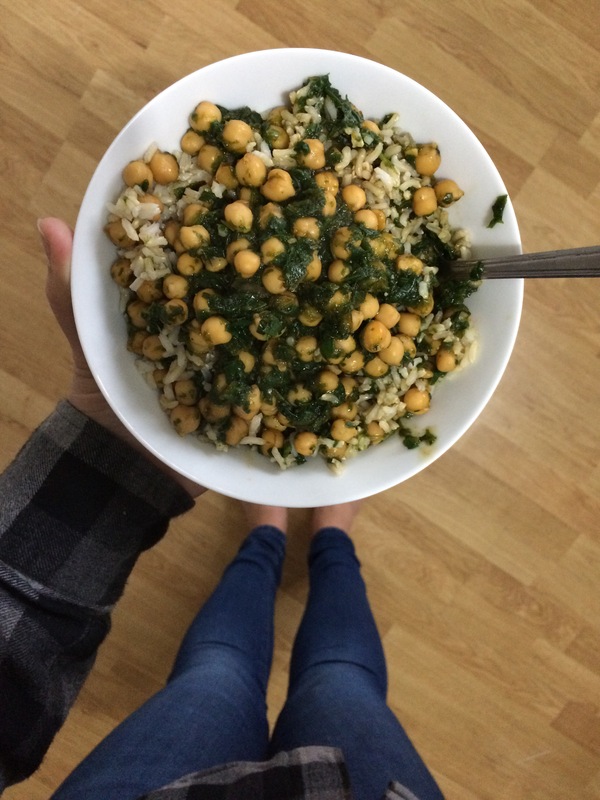 It’s just brown rice, chickpeas, spinach and some terrayaki sauce. That might sound really plain, but it hits the spot for me. Meals don’t always have to be complex, sometimes a simple meal with few ingredients is just as good. 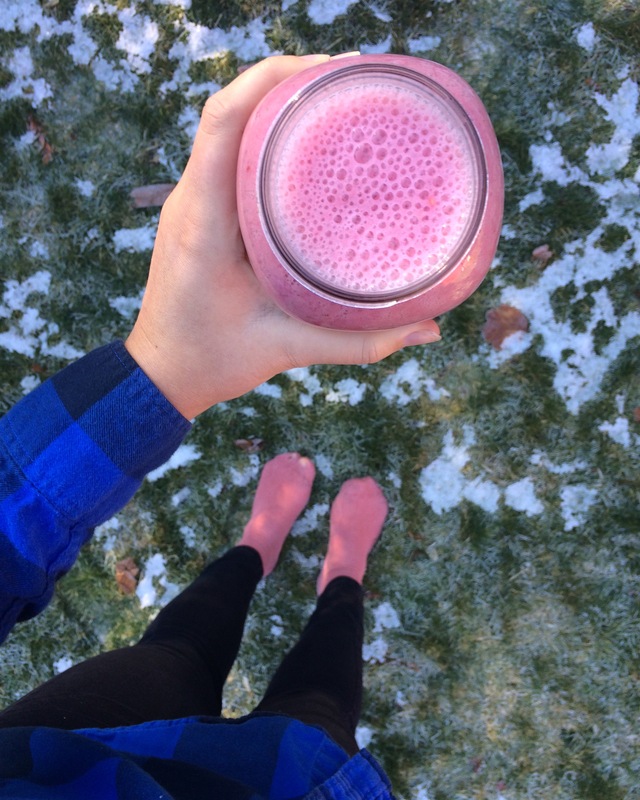 What are some of your go-to simple meals for when you’re busy? Let me know in the comments, I would love to try some!